My worst purchase was that first Iced Latte from McCafe because it has fuelled an addiction that sees me planning my days around how I can work a side trip to a Maccas for my next fix. Some might say they're too sweet, others question the quality of the espresso that is the heart of this drink but I remain a loyal fan in the face of this criticism. As far as I'm concerned, Maccas make the gold standard iced latte. If you're stuck at home in your pajamas with bad hair and no other options, then you can make a reasonable dupe with some Moccona. 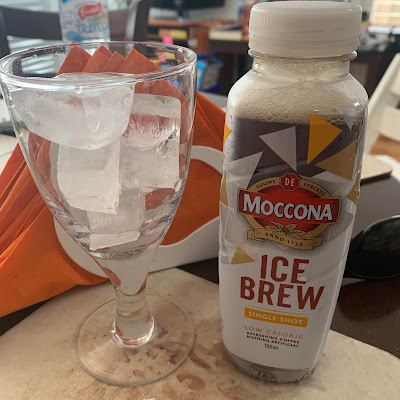 Surprisingly, as a lover of their instant coffee, I am not a fan of Moccona Ice Brew. I was given a couple of bottles whilst out and about in Bondi Junction on Saturday (the place and the time for free food samples as far as I can tell) and I've just tried the Single Shot variety. 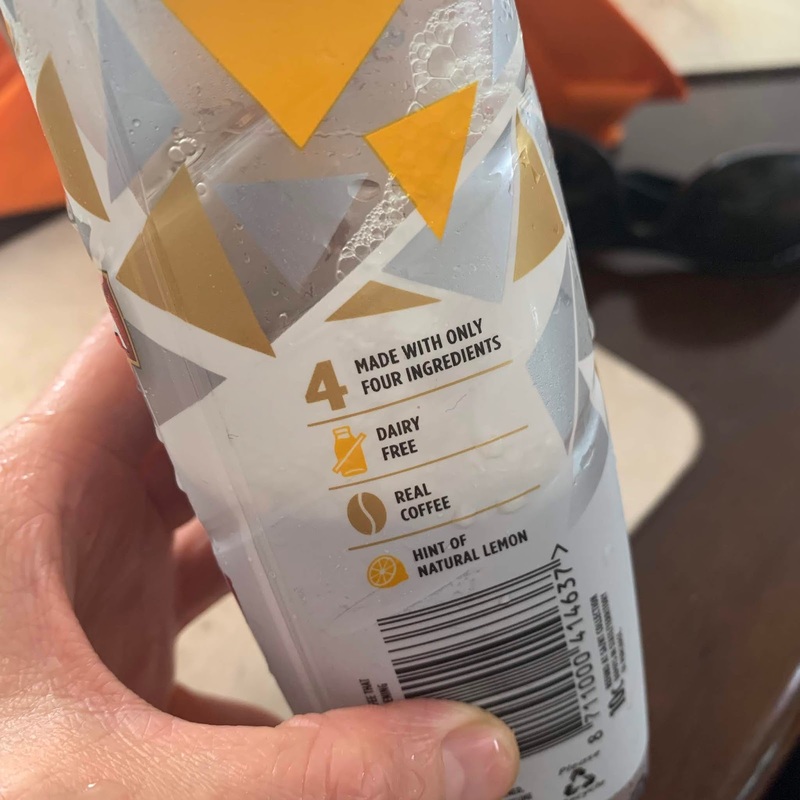 It's touted as dairy free and containing only four ingredients. Rather randomly, one of those four ingredients is ... lemon. I'm baffled. It tasted kind of strange. Diet Coke with Lemon strange heading to wrong town level strange. Looks like I'll still be doing it myself with instant Moccona on the days I can't get myself to a McCafe. Have you purchased anything recently that lead you down a slippery slope into a PG rated kind of dependence? Do tell. I love your take on this (the prompt). Yes, it can turn into a costly mistake if it becomes a daily necessity! It's easy to become addicted to McCafe iced latte, especially in the summer. I like coffee-based drinks but haven't developed a brand loyalty yet. Haha I don't drink coffee but if we're talking slippery slopes then it would be corn chips for me. Yes, there's an iced chocolate concoction at my current workplace that is beyond dangerous. It's a lot of dairy at once, plus chocolate obviously, but it's far too delicious and cooling in this heat. I'll be working somewhere new in a few weeks so I need to start weaning myself off them now! Too funny... I've never been into iced coffee or tea - even though I'm a tea drinker. I think it's about the milk. Love your take on the prompt this week. 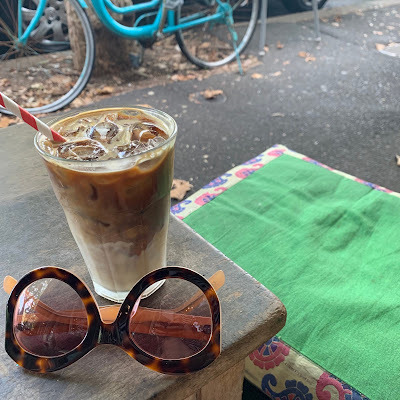 Mine is iced coffee from a local cafe ...it's wickedly addictive and calorific. I used to love their iced coffee but found with IBS they did not agree with me. Shame because i LOVE cold drinks and this would be wonderful to try again. The other issue for me, is I cannot use a straw as since surgery my mouth cannot form a vacuum. Better I stick to my double shot lattes! Personally I'm addicted to their mocha frappes esp at this time of year, though they do make me feel a bit phlegmy afterwards!